Sarah Westbrook is originally from the UK, which explains her delightful British accent. She has traveled to over 30 countries and has lived in the UK, USA, Germany, France and Guatemala and is fluent in four foreign languages. She has a degree in Biology from the University of California, Santa Cruz, and has developed 2 of her own Silicon Valley businesses in addition to collaborating on two Silicon Valley startup companies. She consults with companies in the US and internationally on business development, startups, coaching, leadership skills, vision, focus and small businesses, using 'design thinking' (IDEO) techniques and behavior modification strategies. Sarah has been a animal behaviorist, trainer and consultant in the fields of canine, feline and equine behavior, nutrition and holistic health on the San Francisco Peninsula, California and internationally for over 23 years. She grew up training horses in the UK and is known as one of the early revolutionary 'clicker trainers', a concept originally derived from marine mammal training. Sarah deeply believes in using positive reinforcement training techniques for behavior modification... for both animals and humans. Single-handedly she founded Piccadilly Pets LLC, providing training, education and a wide variety of pet services to the Silicon Valley community. The company was originally based out of the Piccadilly Pets boutique retail store, in downtown Palo Alto, California, located one block from the very first Apple Store, a couple of blocks from Steve Jobs' home, and on the same street where Facebook was founded. Sarah has worked with many high profile CEO's and their families in Silicon Valley and internationally. Sarah was co-director of the California Yoga Center, Palo Alto and developed many of the early San Francisco Bay Area yoga programs which are still in existence today. Her background includes the extensive teacher training program at the Iyengar Institute of San Francisco, and she was mentored for several years by world-renowned senior Iyengar yoga teacher Elise Miller, and Lolly Font (original founder of California Yoga Center). Sarah grew up in the English countryside strongly influenced by a holistic and plant medicine approach to life and health. Her athletic experience includes long distance running, hiking, horse riding, cycling, racquetball and collegiate level tennis. Additionally she has studied various forms of movement such as Pilates and Tai Chi. In recent years she has deepened her personal yoga practice studying under the Internationally renowned Russian master teacher Arkady Shirin and has informally studied Ayurveda. Sarah specializes in yoga for fluidity and strength, and has vast knowledge and experience of yoga for therapeutics and back and athletic related injuries. She has studied/taught yoga for over 35 years. Sarah generously donates her time, energy and finances to help children in developing countries get an education and advises/supports women on how to start small businesses. To date she has made more than 151 interest-free micro-loans to people in 66 different countries on Kiva. Traveling the world since the age of 6 years old has inspired her to look at emerging/possible markets and ventures for her own business abroad, while simultaneously collaborating and assisting the local women and men in small business development. Sarah has helped families in Guatemala develop a robust and dependable tourism business, has worked tirelessly to get a young Nicaraguan girl back into the education system, assisted a Nicaraguan veterinarian develop a business plan to set up her own veterinary clinic in Managua. 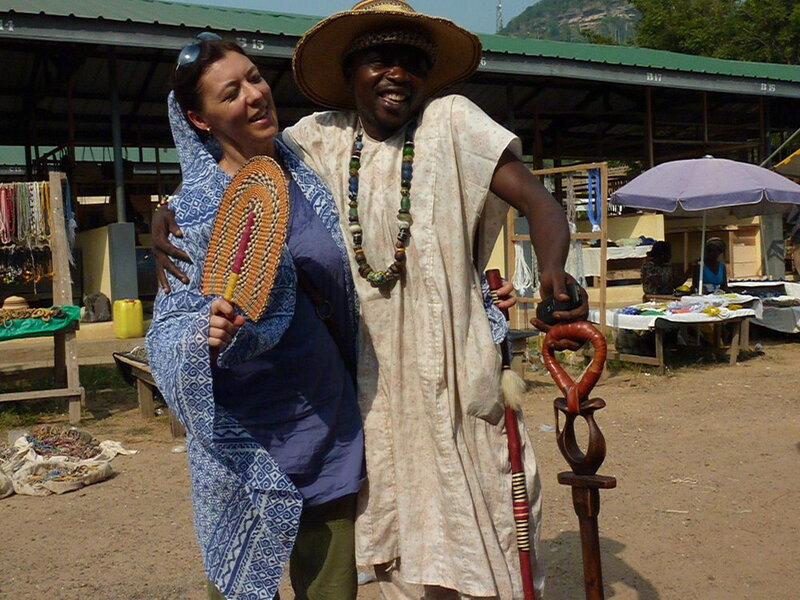 While visiting west Africa for 2 months she taught local women how to develop their artisan businesses, set up their websites and social media pages, wrote content and provided photo and video media. She recently mentored a young woman in California start her own thriving dog walking company. Sarah also helped foster and find forever homes for several dogs from Hurricane Katrina and regularly works pro bono with the pet community in the US and internationally. 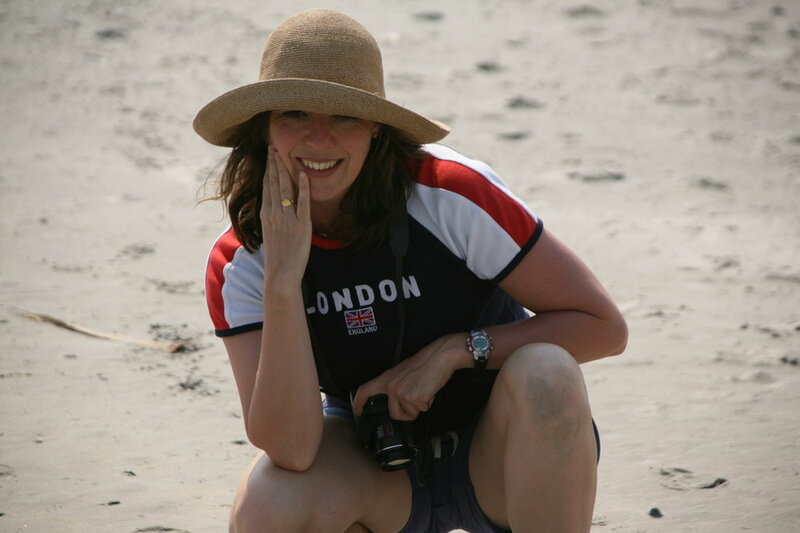 Sarah consults on business, animal behavior and yoga in the US and internationally. Please contact her via the email link to schedule private, in-person or video/phone consults. Connect with Sarah on social media using the links below and also on Kiva . "YOU ONLY LIVE ONCE, BUT IF YOU DO IT RIGHT, ONCE IS ENOUGH"